Logistics Corporation has announced that Chris Sabey has taken the position of sales and market development manager. 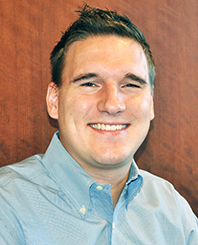 Sabey started with Logistics as a new account specialist. In his new role, he will report to Tena Schrader, vice president of sales. Sabey will be working closely with independent rep agencies, to offer additional resources as they grow their territory revenue. “With five years of outside sales experience and knowledge of internal processes, industry products, and markets, Chris was the perfect choice for this role,” said Donna Bruno, president. Logistics sells safety and industrial products to distributors nationwide.